Non-resident Indians (NRIs) may be able to soon exercise their electoral franchise. The supreme court has told the union government to decide within a week to give voting rights to NRIs either by amending Representation of the People Act or the rules. A bench of chief justice J S Khehar and Justice D Y Chandrachud noted that the Election Commission had set up a committee which had examined the issue and submitted a report in October 2014. It was informed that in January 2015, the Centre had, in principle, agreed with the recommendations of the committee, reported the Times of India. NRIs have been waiting for long to get voting rights. The Representation of People Act did not cover this aspect. Later, the Representation of the People (Amendment) Bill was brought in to tackle this issue. So, who stands to benefit? Non-resident Indians, which the Income Tax department describes as an individual who is a citizen of India or a person of Indian origin and who is not a resident of India, will gain from this. Till 2012, there were over 10 million NRIs. Of them 11,846 NRIs were enrolled as overseas electors, union minister General (retd) VK Singh informed the Rajya Sabha in 2014. The number of NRIs went up to 16 million by 2015, said the United Nations. According to the International Migration Report, India had the largest “diaspora” in the world (16 million), followed by Mexico (12 million). It was in 2012 that the demand for NRIs to have absentee voting rights gained momentum. Nagender Chindam of Britain based rights group Pravasi Bharat told rediff.com that there were about 10 million Indian citizens staying abroad, and with 543 parliament constituencies, this means an astonishing average of 18,000 votes per constituency may get polled from abroad. These additional votes, if polled, will obviously play a crucial role in providing greater representation to the public in our democracy. Two years later, the election commission of India constituted a committee to look into the voting rights of NRIs. 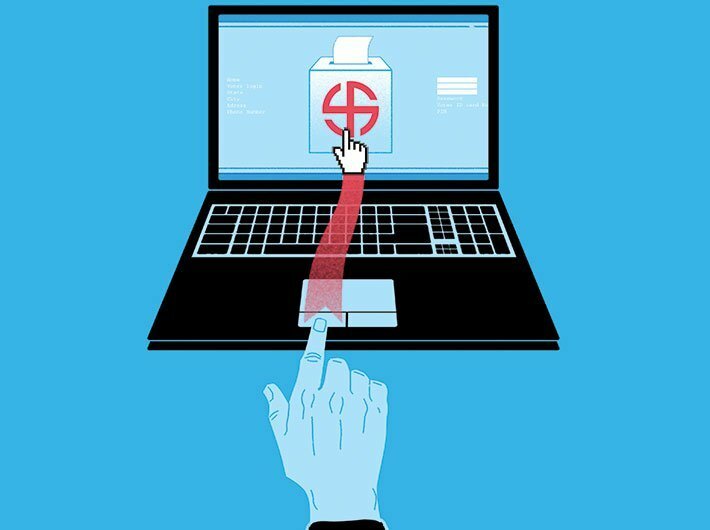 The report of committee for exploring feasibility of alternative options for voting by overseas electors said that the option of personal voting at diplomatic missions abroad is not feasible and the committees was of the view that Internet voting is also not a feasible option at present until appropriate technology/IT applications and all other vulnerabilities described are addressed. That left only two options postal ballot and e-postal ballot variant or proxy voting. “The committee is of the view that e-postal ballot, where blank postal ballot paper is transferred electronically to NRI and returned by post by NRI can be considered to be employed after proofing, validation of the process and pilot implementation in one or two Constituencies in elections to the Legislative Assemblies and then scale up to more Assembly Elections and finally Parliamentary Elections if found feasible, practicable and meeting the objectives of free and fair elections,” the report said. In whatever form it is approved, NRIs spread across the world are likely to have a say in the next elections.